Novo7 Tech, the official distributor of THL smartphones in the country has announced that they will soon offer the THL 5000 in the Philippines. The new smartphone has a 5-inch HD display or equivalent to 1920x1080 resolution with 441 pixel per inch density and it's coated by a Corning Gorilla Glass 3. It is powered by a MediaTek MT6592W octa-core Chip clocked at 1.7 GHz, paired with 2GB of RAM, 16GB internal storage, and runs on Android KitKat OS. 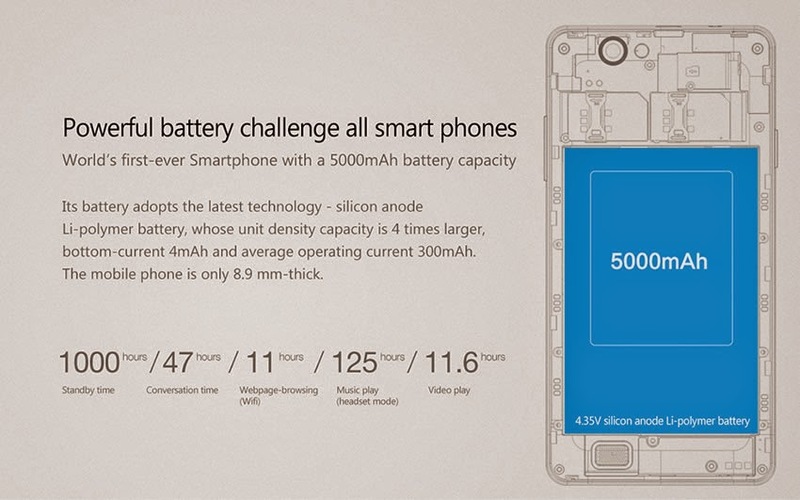 The THL 5000 equipped a powerful battery, it is the world first ever smartphone that carries a 5000MAh capacity. Novo7 Tech has no word on price yet.